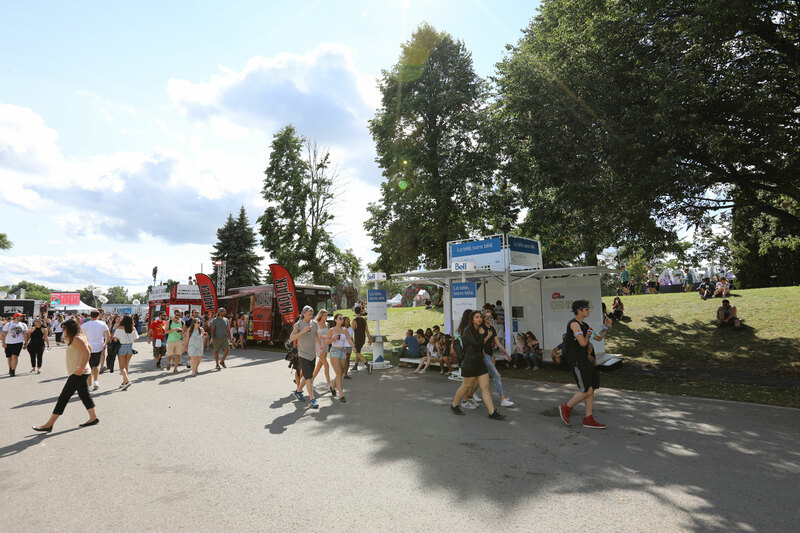 Major telecommunications companies Bell Canada and its subsidiary, Virgin Mobile, were present at Osheaga, one of Montréal’s biggest music and art festivals, held on August 4 to 6, 2017. 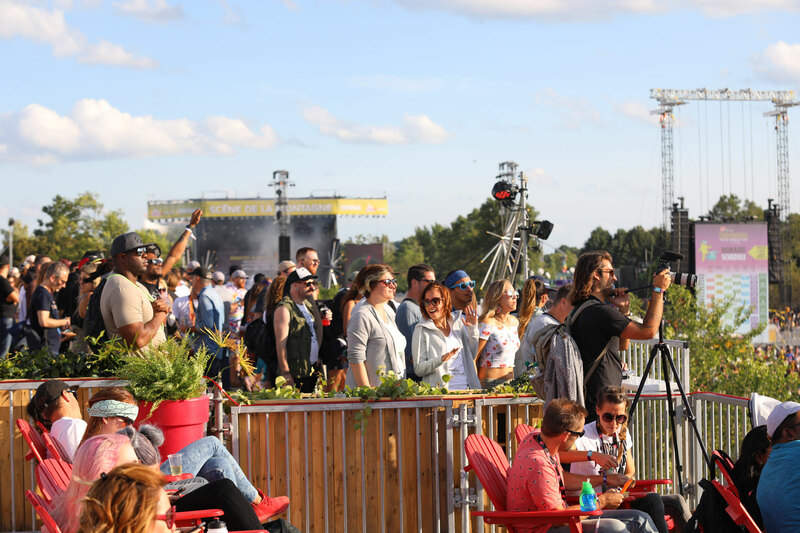 Each year, the festival features a huge roster of local and international artists, from established musicians to rising stars. 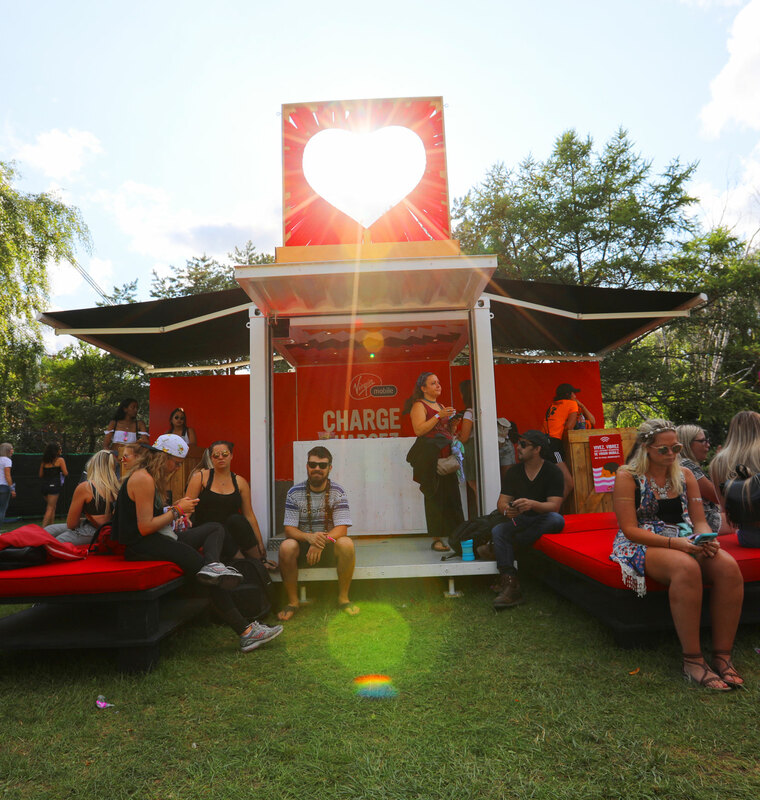 Both telecom brands welcomed festival-goers to their LB8-model pop-up created by Loki Box Design. 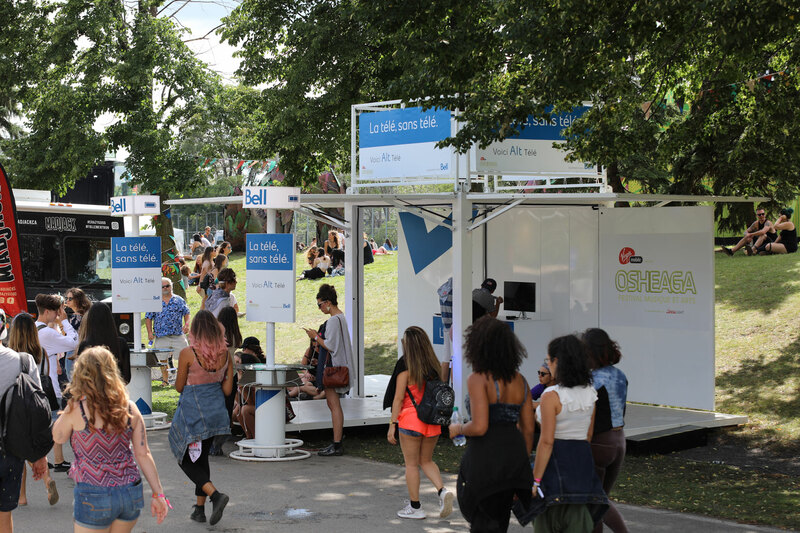 Appreciated for its quick installation and breakdown, the LB8 structure is only 8x8 feet closed, but opens to an impressive 16x24, with plenty of room for all activation needs. 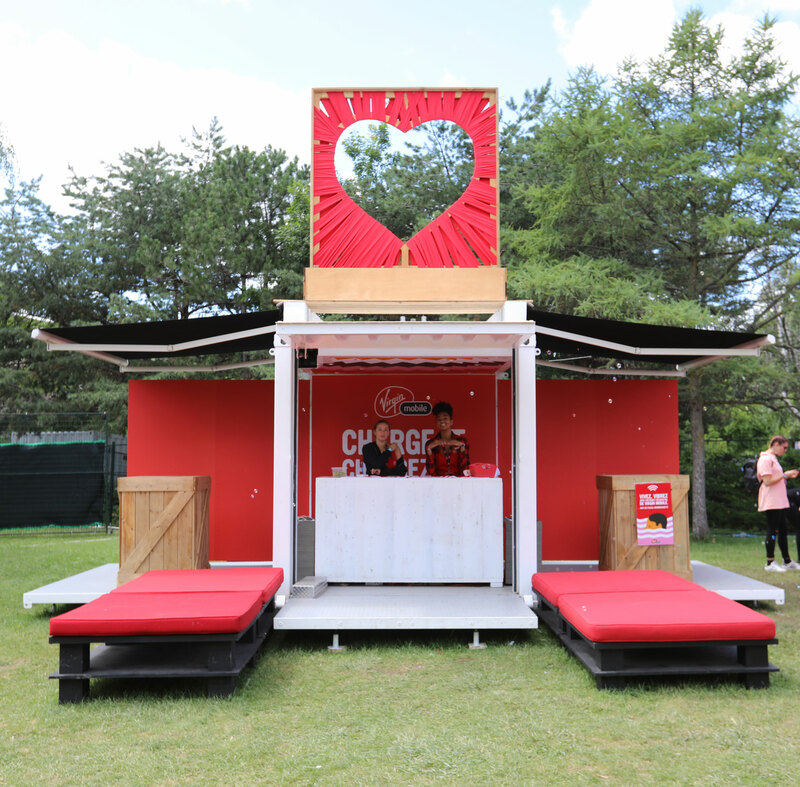 While Bell and Virgin opted for the same compact structure, their pop-looked very different. 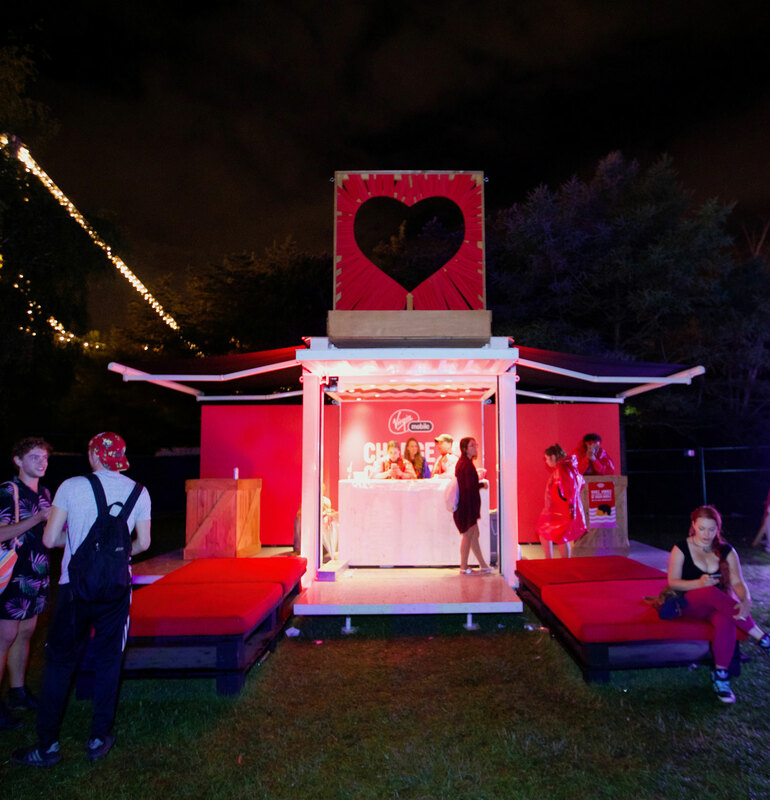 Fully customized and branded, each made a unique statement. 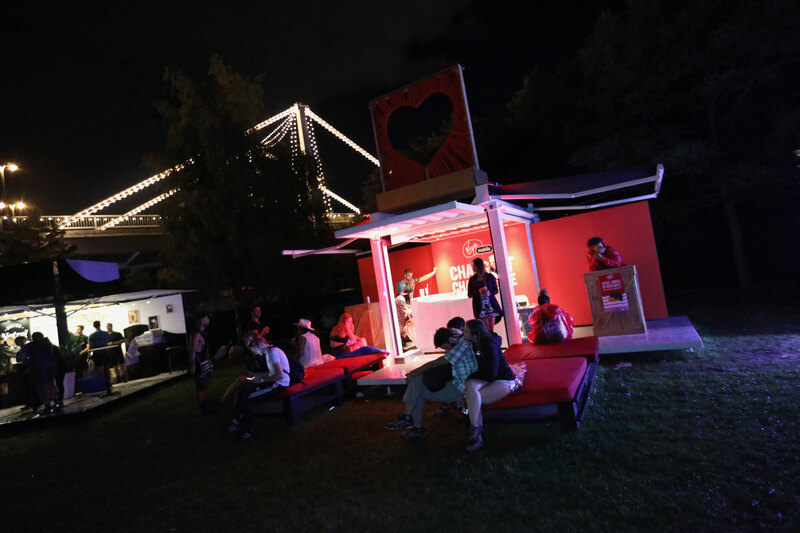 Virgin’s pop-up boasted its signature red, with soft lines and cushy lounge chairs, inviting guests to rest and recharge (their phones and themselves). 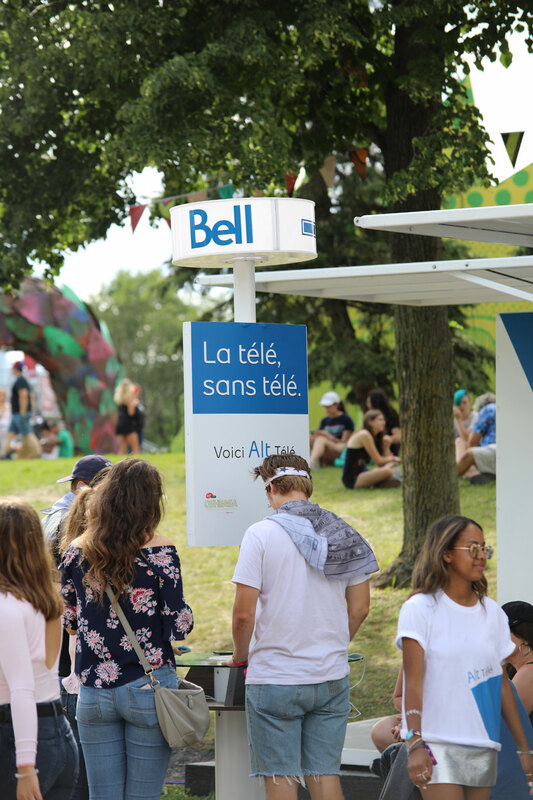 Bell opted for a pop-up with clean lines in its signature white and blue. 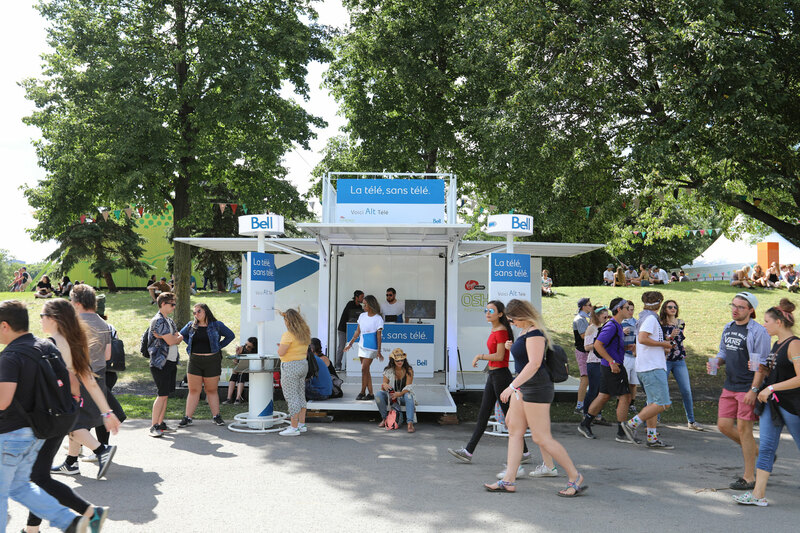 More utilitarian, it invited passersby to learn about Bell’s new Alt TV mobile streaming app and other products. 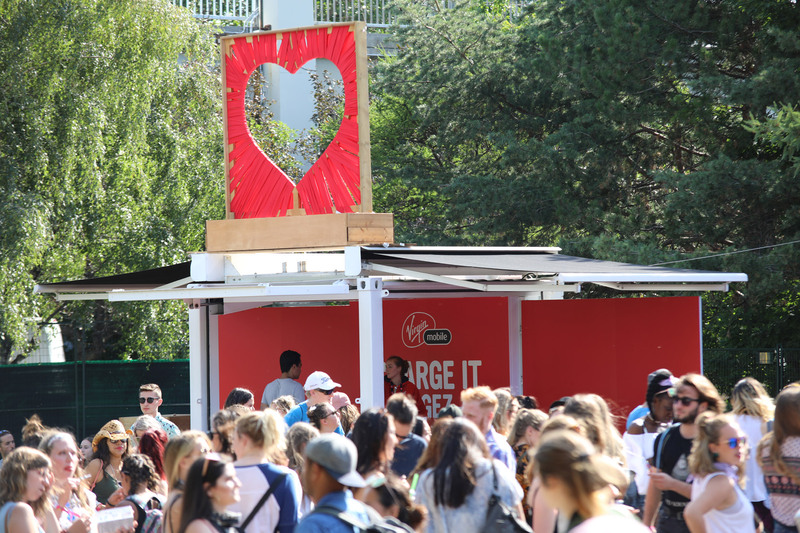 As the main sponsor of the event, Virgin also had a terrace Members Lounge that gave its guests a premium view of the Virgin stage. 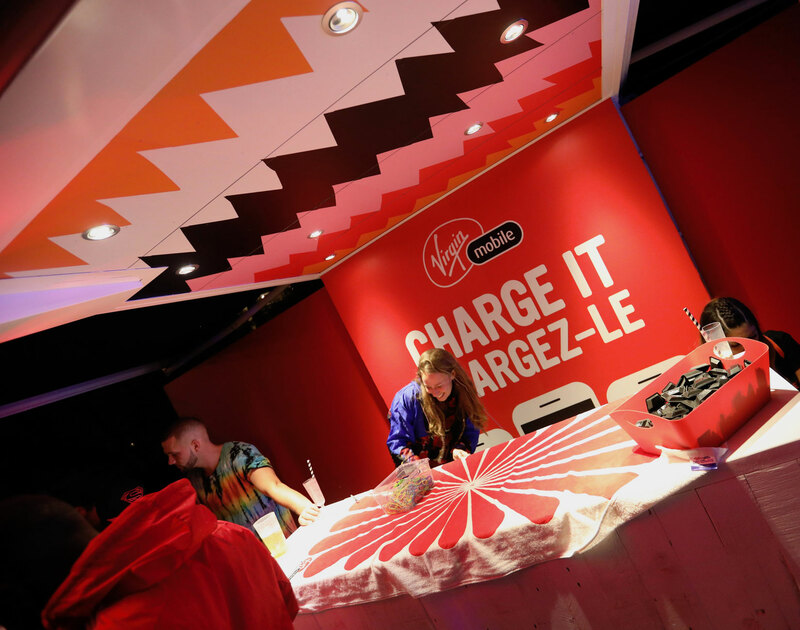 Despite a little bad weather, both Bell and Virgin were happy with the number of visitors their pop-ups attracted and definitely plan to be back!